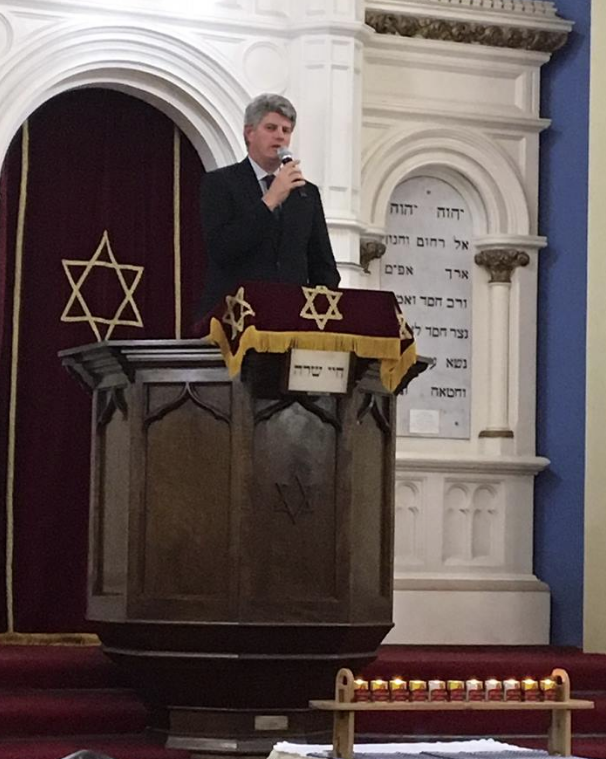 More than 500 members of Queensland Jewry gathered together, joined by politicians and members of other faiths, last week in Brisbane and the Gold Coast to remember the 11 victims of the Pittsburgh synagogue shooting. 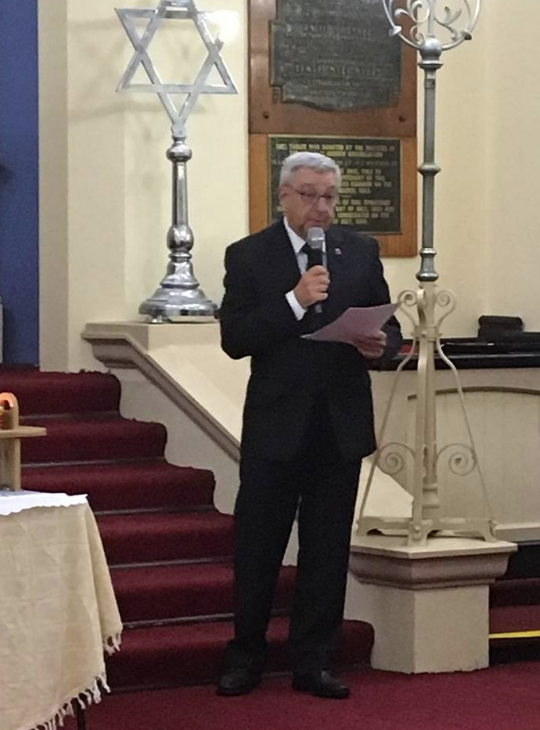 Speaking at the Brisbane memorial service the Life Governor of the Queensland Jewish Board of Deputies (QJBD), David Paratz delivered a moving keynote address commencing by asking the gathering about the “significance of 14,987” and the “importance of 14,057”. “Numbers have a mystic symbolism in Judaism. Yet these numbers are not mystic, but very poignant,” David said. “14,987 is the number of kilometres that Pittsburgh is to the north-east of Brisbane. In a sense it is a world away, because that is a distance greater than the diameter of the earth (12,472 km). “But, tonight there is no distance between Brisbane and Pittsburgh. And, 14,057 is the number of kilometres that Jerusalem is to the North-West of Brisbane – not much different to the distance to Pittsburgh. The memorial service was co-ordinated by QJBD president Paul Myers, who said he was deeply touched by the outpouring of support by the community, both Jewish and non-Jewish. “It was a truly representative turnout, not only from all of our synagogues, the Sunshine Coast and Jewish organisations, but also from the wider interfaith community, as well as all levels of government,” Paul said. Queensland Minister for Multicultural Affairs, The Hon Stirling Hinchliffe, represented the Government and shared his reflections with the attendees about this horrific act of hate. Brisbane Hebrew Congregation’s Rabbi Jaffe, who was travelling to a conference in the US, was unable to attend, but provided guidance for the event. The Gold Coast also held a moving memorial service, led by Rabbi Gurevitch at the Gold Coast Hebrew Congregation and his message was, similarly, one of unity. “As we grapple with this calamity, we need to accelerate our activities to foster love and unity among all members of the Jewish family and beyond. Let us draw strength from the timeless and fortifying bond that we share,” Rabbi Gurevitch said.